This article will guide Boeing employees on how they should log into their account via the Boeing Total Access login page to find important information regarding employment. Boeing employees can check their paychecks, request vacation time, put in for sick leave, and access performance incentive plans. They can also check healthcare and insurance benefits, retirement savings settings, and their accrued pension benefits. 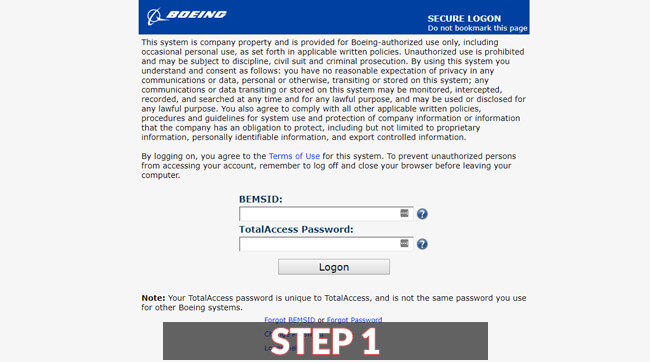 The Boeing Total Access login process is simple. However, there may be times you have trouble accessing your employee information. 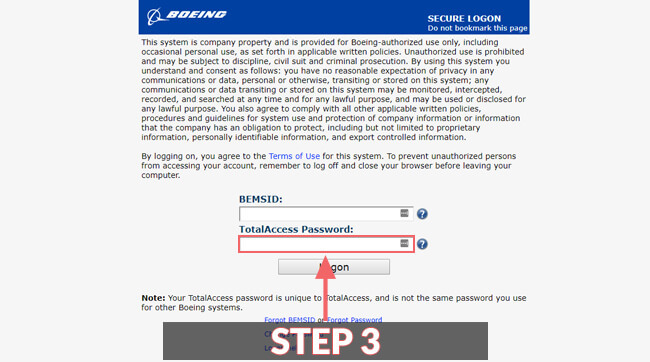 This simple three-step Boeing Total Access login guide will help. 1. 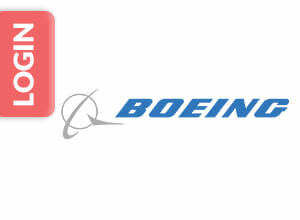 Visit the Boeing page to access the Boeing Total Access login page. The Boeing Total Access web address is the same on your home computer, laptop or any mobile device with an internet connection. Once on the default login page, you will have to enter two pieces of personal information to open the portal pages. 2. In order to access the portal pages, you will need to verify some personal information. The first piece of information that you’ll need to access the Boeing Total Access login is the BEMSID. The BEMSID is a unique number that the employer assigned to you after Boeing hired your skills. Active Boeing employees can locate their BEMSID on the back of their official Boeing Badge. These will be the first set of numbers to the right of the zip code for the Boeing address. 3. The next piece of information needed to log in to the Boeing Total Access login page is the Total Access Password. The Total Access password is unique and doesn’t resemble the ones you use for other Boeing systems. To receive access to your Boeing account, make certain there’s no space after your BEMSID number. Another common slip is for users to forget the Caps Lock on. Hint: Credentials to access the Boeing Total Access login are case sensitive. The following information will help you to access your Boeing Total Access account in case of problems. BEMSID is a Boeing-generated unique identification number assigned to all employees of The Boeing Company. If you need help finding your BEMSID, please contact Boeing Total Access at 866-473-2016. When prompted to enter your BEMSID, say the word BEMSID. Forgot Your Boeing Total Access Password? Active employees with access to Boeing Intranet will need to go to their online Boeing portal for employees. Head to the end of the online page to click on ‘Forgot Password’ button. You may reset your password if you have forgotten it by following the instructions provided from that page. Note: If your external web account is locked, generating a new password will automatically unlock the external account. Call Boeing Total Access at 866-473-2016. Press 1 to select the option to mail password, then confirm ZIP code. You’ll receive new password code by mail to your home address on file within 5 business days. Boeing employees can contact Total Access by calling 866-473-2016. Be sure to have your BEMSID identification and Total Access password available that you have used in the past. When prompted, the employee can speak about the service they want to know more about such as savings or pension. Hearing-impaired Boeing employees should use the relay service offered through their telephone service provider. Disclosure: This Boeing Total Access login page guide is an educational article. Therefore, we’re not associated with Boeing. This is why we encourage you to contact Boeing customer services in case of any issues with your login attempts.